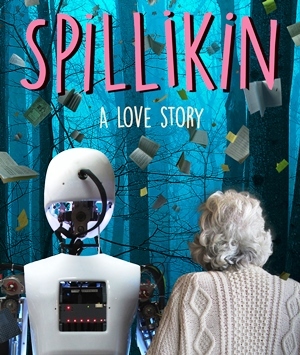 Spillikin is an odd couple romance, telling the story of the relationship between Sally and Raymond from their meeting as apparently ill-matched teenagers, to when Sally is a widow with Alzheimer’s, kept company by an extraordinary humanoid robot, designed by Raymond before he died and uploaded with all his memories. There are five actors, one of whom is an actual high tech robot. Spillikin premiered at the 2015 Edinburgh Fringe to astonishing critical acclaim (it was also shortlisted for the Carol Tambor Best of Edinburgh award) and has been a hit with national audiences since then.